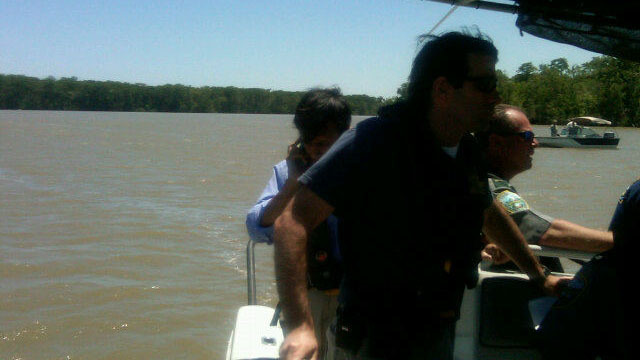 John King is out on a boat tour of the flooded areas in Louisiana. Sent in from his blackberry, is this picture of Governor Bobby Jindal receiving a call from President Obama. Tune in tonight @ 7p ET, we'll be LIVE from Morgan City, La.